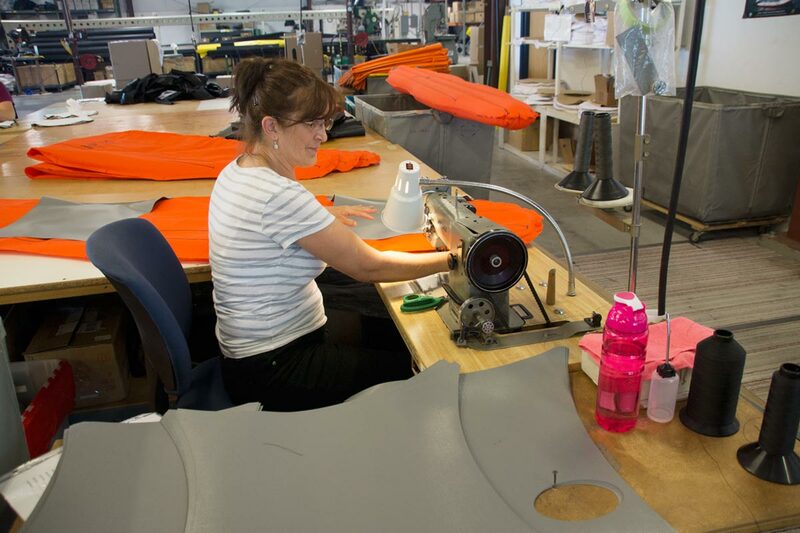 AIRE raft floor bladder assembly - almost finished. 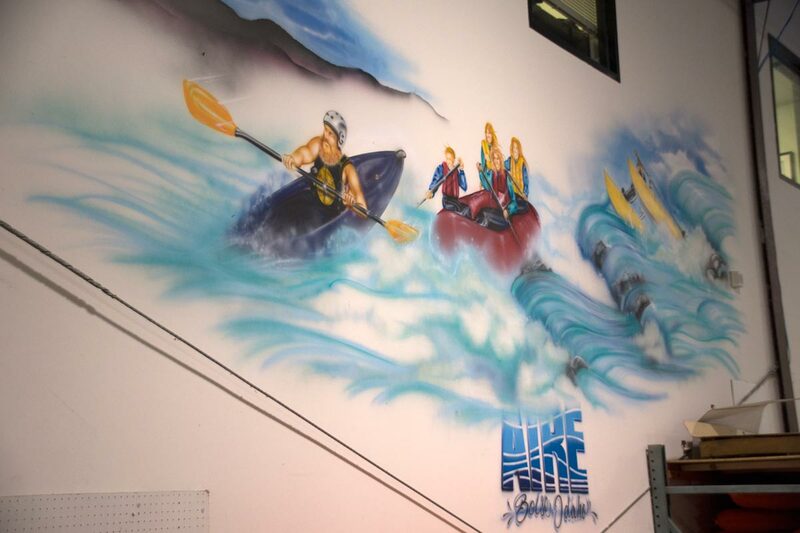 Although this material is bare 400 denier nylon on the outside it would be plenty strong enough to build small rafts or inflatable kayaks with all by itself the inner coating is a thick layer of urethane. This bladder will be encased in a very strong Precontraint PVC shell. It is virtually unheard of for any AIRE owner to rip through both the outer shell and the bladder. 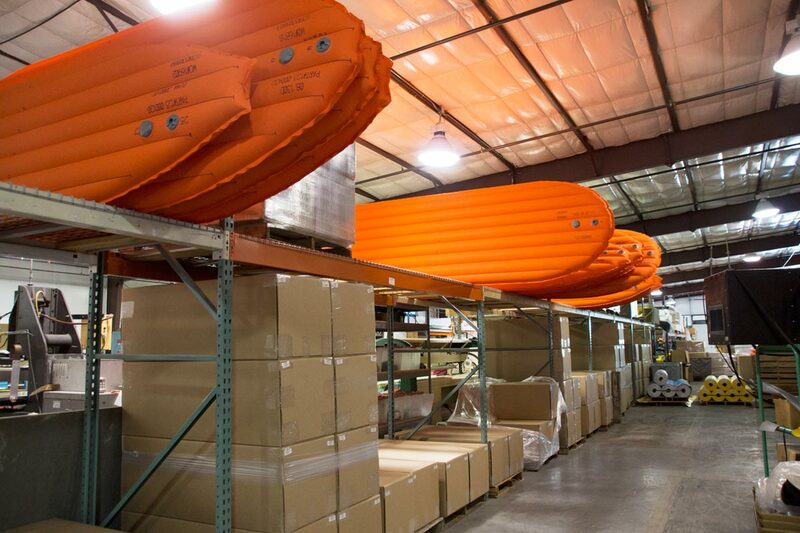 Raft floor bladders being air-tested prior to installation in their PVC pockets. The valves on the left are the Leafield C7 inflation valves and to their right are the Leafield pressure relief valves. 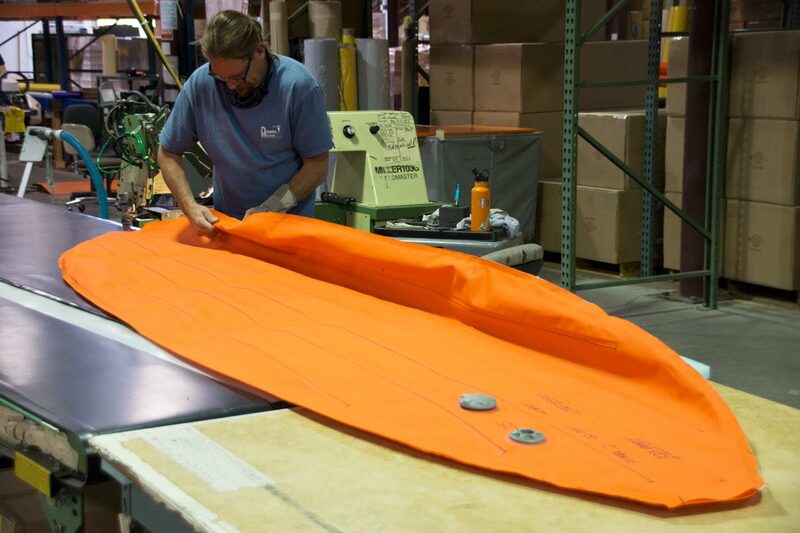 AIRE tests boats and their inflatable components for a minimum of two days before packaging. AIRE also has their Tributary factory in China follow the same procedures.